When you’re looking for a great uniform for your employees, whether you’re ordering ten or ten thousand garments, Tibard has got you covered. Designing, manufacturing and supplying uniforms since 1979, Tibard’s reputation for high-quality pieces and gold standard customer service means that we’re one of the UK’s favourite uniform suppliers. In Middlesbrough and Teesside, we provide uniforms for a plethora of businesses seeking professional elevate the look of their business. The Tibard range of workwear and uniforms is well suited to businesses in Middlesbrough, Hartlepool, Redcar and Guisborough who are interested in exceptional value and an assured service. We provide some of the UK's largest and most demand businesses with their workwear requirements and we also love to work with small customers to help them benefit from our low prices and quality products. We have a huge range online of workwear that covers every main industry, and we can provide everything that your business needs to run efficiently and keep staff safe, comfortable and looking great. There are no orders to large or too small for us, and we love a challenge, all larger orders take advantage of free delivery and lower unit prices to ensure the maximum amount of value is given back to you. One of our best-loved services is workwear and uniform personalisation, and this can be easily and quickly set up online. This service means that businesses in Teesside can cheaply and simply add a logo to any of their workwear which makes it unique to a business. Many tradesman, pubs and clubs buy personalised uniforms from us to help with communication to customers and to promote their business while working. No matter what you need from a uniform or workwear range, Tibard can provide it and tailor it to your needs, just get in touch and tell us about your business. Uniforms for the hospitality industry comes in a variety of different ways, the uniform needs of hotel receptionist and a head chef are on opposite ends of the spectrum but both fall under the umbrella of a ‘hospitality uniform.’ Regardless of the position when you purchase a uniform from Tibard, you can be assured of the high-quality garments. As one of the UK’s premium chef jacket designers and manufacturers, we also know how important it is to have great chefs wear. Teesside and Middlesbrough restaurants, cafes and caterers can all benefit from chef jackets and hospitality uniforms that work for your company. Tibard also provides a large number of specialist workwear services to businesses in Middlesbrough, and Teeside which are ideally suited for large companies with multiple locations. These include our managed uniform accounts, uniform laundry and rental and uniform design, all of which are tailored specifically to the needs of your business. Our managed accounts are often a better choice than using the website when you need to make multiple and regular orders of workwear to several different addresses of your business; we take care of the logistics for you which saves you time, money and effort. 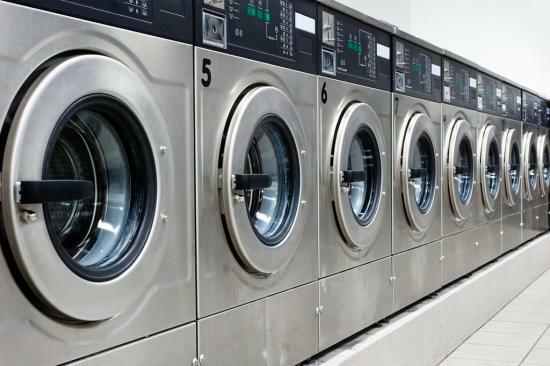 Laundry and rental services are mainly for catering and hospitality businesses in Middlesbrough who need to have clean and cost-effective chef clothing and workwear at all times. Finally, our uniform design is a highly bespoke service where we can create you a uniform that is unique to your business and is designed to help you stand out, impress customers and provide your staff with workwear that works well for them.